When a bankruptcy case is started against an individual, notice of the legal proceedings will be registered against the individual’s name at the Land Charges Department. If the individual is the owner of a property which is registered at the Land Registry, an entry will also be recorded on the Land Registry entries for that property. The entry will be made regardless of whether the property is owned by the individual alone or together with one or more other people. 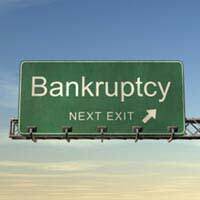 If an individual is made bankrupt any assets they own are said to vest in their trustee in bankruptcy. When a trustee in bankruptcy has yet to be appointed, the Official Receiver will have control of the assets. If the bankrupt person own property jointly with someone else only that share of the property owned by the individual will vest in the trustee in bankruptcy. However, in order to realise that share, the whole property may have to be sold. During the conveyancing process a search at the Land Charges Department, or of the Land Registry entries, may reveal that the seller is subject to bankruptcy proceedings. If a bankruptcy order is ultimately made against the seller this fact will also be registered against their name at the Land Charges Department. Further, a bankruptcy restriction will be registered on the Land Registry entries for their property. A purchaser is entitled to rely on the information contained in any official copies of the entries for a property which they obtain from the Land Registry. This should mean that, if no bankruptcy restriction is showing, they may proceed to purchase the property without worrying that any creditors may have a claim against it. However, the copies sent out by the Land Registry are only guaranteed to be correct as at the date and time shown on them. Purchasers doing their own conveyancing should certainly not assume that they can just obtain one copy at the outset of the conveyancing process and rely on it through to completion of the sale. A buyer cannot rely on the accidental absence of any mention of bankruptcy in the Land Registry if he actually knew that the seller was subject to bankruptcy proceedings. Once notice has been given that bankruptcy proceedings are pending against a seller, any potential purchaser of the property should be aware that the seller’s creditors may have a claim against the property as a way of getting back the money they are owed. If an individual sells their property after bankruptcy proceedings have been started and is subsequently made bankrupt the sale could be rendered void. The property will effectively revert from the person who bought it back to the trustee in bankruptcy. Evidently, any prospective purchaser who finds that the property they intend to buy is subject to a bankruptcy notice or restriction should exercise extreme caution before deciding to continue with the sale. There are two approaches that a purchaser may adopt if they decide that they do want to buy the property. Firstly, they may wait until a bankruptcy order is made and then continue the sale process but with the trustee in bankruptcy acting in place of the seller. Once a bankruptcy order has been made the bankrupt person is no longer entitled to deal with their assets and only the trustee can make a valid conveyance of the property. However, the trustee is under no obligation to complete on a sale even if contracts have already been exchanged. The trustee may refuse to complete if he considers the terms of the sale to be inappropriate. A buyer who suffers a financial loss because of a trustee in bankruptcy’s refusal to complete on such a sale is likely to have to take his place at the back of the queue with the seller’s other unsecured creditors. Secondly, a purchaser who wishes to proceed with a sale whilst bankruptcy proceedings are ongoing may safely do so if they obtain a court order approving the sale. Many people facing bankruptcy may try to sell their property in order to pay off their debts and avoid being made bankrupt. A court is likely to approve any bona fide sale. In some cases a court may even retrospectively validate a sale.